Alliance Engineering Consultants, Inc. is a reputable and versatile electrical/utility consulting engineering firm. We offer a friendly working environment with opportunities for professional advancement. We value your engineering ideas, qualifications, skills, creativity and your contribution to our team in this competitive consulting field. We are an equal opportunity employer and we welcome your application to join our company. Project management, engineering, design of electrical or utility systems for transportation, utility, educational, institutional, industrial and government projects. Project manager shall be responsible for the preparation of conceptual, preliminary and detail designs, construction drawings, specifications and cost estimates. He/She shall perform Construction administration and inspection. He/she shall carry out feasibility studies and economic return of system investment. He/she shall perform study for electrical system, voltage drop calculations, Power system studies and cost estimate. Graduate from accredited university with 10 years of experience. He/she shall be familiar with AutoCAD, engineering power tools and software. He/she shall be proficient in Microsoft office and project scheduling software. Project engineering, design and calculations of electrical systems for transportation, utility, educational, institutional, industrial and government projects. Project electrical engineer shall be responsible for the preparation of conceptual, preliminary and detail designs, construction drawings, specifications and cost estimates. He/She shall perform Construction administration and inspection. He/she shall carry out feasibility studies and economic return of system investment. He/she shall perform study for electrical system, voltage drop calculations and Power system studies. He/she shall perform electrical design for signal and lighting, traffic operation systems and irrigation systems. Masters Degree in Electrical Engineering or Bachelors degree from an accredited university with 2 years of experience. He/she shall be familiar with AutoCAD and electrical engineering power tools and software. He/she shall be proficient in Microsoft office and project scheduling software. Project design and construction supervision of electrical systems for transportation, utility, educational, institutional, industrial and government projects. Electrical designer shall be responsible for the preparation of preliminary and detail designs, construction drawings and cost estimates. He/She shall perform Construction administration and inspection. He/she shall have a good understanding of Code requirements and perform load, voltage drop and lighting calculations. 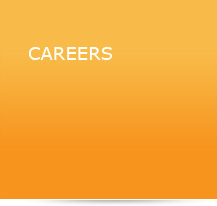 Five years of relevant experience with Associate or Bachelor engineering degree desirable. He/she shall be familiar with AutoCAD and electrical engineering power tools and software. He/she shall be proficient in Microsoft office and project scheduling software. CAD Designer is responsible for performing design duties assigned by the engineers or designers. CAD designer shall supporting the Project Manager or Electrical Engineer and shall be proficient in AutoCAD (paper space and model space, XREF). Experience with transportation, utility, educational, institutional, industrial and government projects is desirable. Microstation skills are plus but not required. Associates/Bachelors Degree or certification in AutoCAD or engineering is desirable. He/She shall have commanding knowledge in AutoCAD, Adobe Acrobat, Microsoft Word, and Microsoft Excel.